We can provide reasonably level access to the Collection via the hangar doors on request. However, currently we do not have disabled toilets, nor can we provide disabled access into the cockpits. 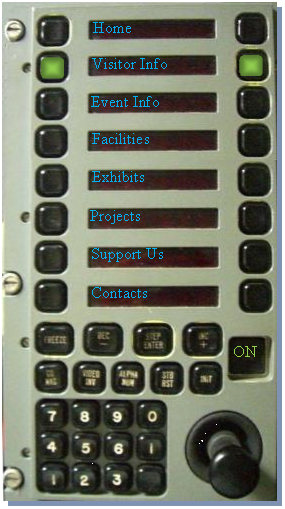 Some of our exhibits have an audible description that can be accessed over the web from either a smartphone or a tablet. To access these either click here to display a list of those available and then click on the speaker icon or click on the speaker icons on the exhibit pages. You will have to click on your browsers “back” button to return to the BDAC web site after each description.